Playgroups for parents and children ages 0–5 provide an opportunity for families to get together, meet other families, and enhance children’s growth and development through fun, interactive activities and shared learnings. Each week, on Wednesday mornings from 10 to 11 a.m., families gather for a themed activity, games, crafts, story time, and snacks. Special celebrations such as a spring egg hunt, Thanksgiving Pilgrim feast, and Halloween trick or treating are featured during holiday times. Lead by trained child development specialists and family support workers with well over 50 years of combined experience. Learn new tips and tricks in areas such as discipline/dealing with difficult behaviors, nurturing, and family bonding. Participate in arts and crafts. Connect to guest speakers and professionals representing agencies with relevant resources for families new to the area. 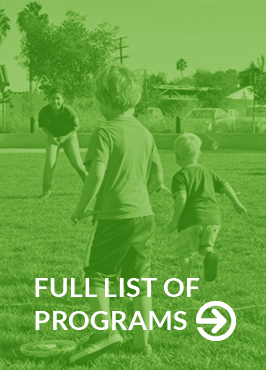 Engage in your community for all the wonderful things that San Diego has to offer, including fun things to do year round, often cost free. More than 130 parents and 200 children attended playgroups. Guest speakers included pediatricians from Balboa Navy Medical. Sign Up Today! All parents and families welcome at no cost throughout the year. Join this network of parents and give your children a safe place to make new friends!